Sponsoring a foreign national for an employment-based green card is a great way to retain skilled talent. However, for most green card categories (including EB-2 and EB-3), employers are required to complete a rigorous PERM labor certification process. 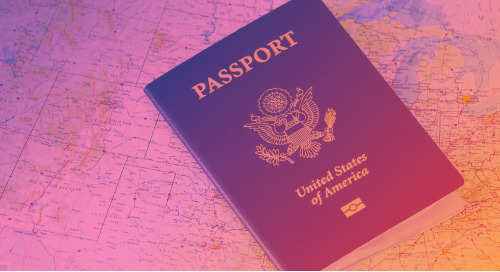 This important step, which must be completed before starting the green card process, helps the U.S. government make sure no U.S. citizens are available to fill the role. Note: If the job description is unclear, the DOL inspector may request additional information, causing delays. If the job description is too technical, the inspector may issue the highest wage determination, requiring the HR to increase the salary or rewrite the job description. When filing for labor certification, none of the advertisements can be older than 180 days. So it’s best to place the ads concurrently to meet the time requirement. Did you know the DOL audits 30% of PERM applications? Be prepared for a possible audit by keeping detailed records of each job ad. The PERM process is a very important part of the green card application process. Safeguard against PERM issues by contacting Envoy for information on how our proprietary and specialized PERM process can help organize, manage, and monitor all aspects of the certification process. Call us at (855) 840-8046 or visit us at www.envoyglobal.com/about-us/contact/. The post Employment-Based Green Cards: 3 Tips to Help You Master the PERM Process appeared first on Envoy.